Make quick notes with these 13 free online notepad apps. No login required. 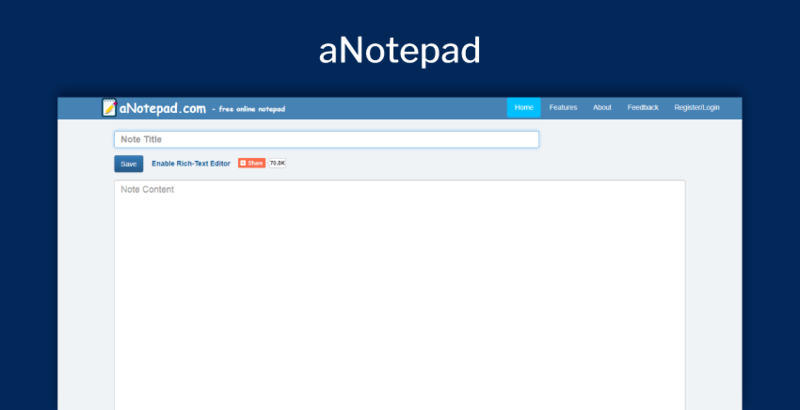 Notepad normally comes native with your Windows or Mac, however, there are times when you need an online notepad. Notepads allow you to write anything in the form of text. There are a few great options available online which can easily replace your reliance on native notepads. And some of them even have much greater functionality which isn’t available in the default ones. 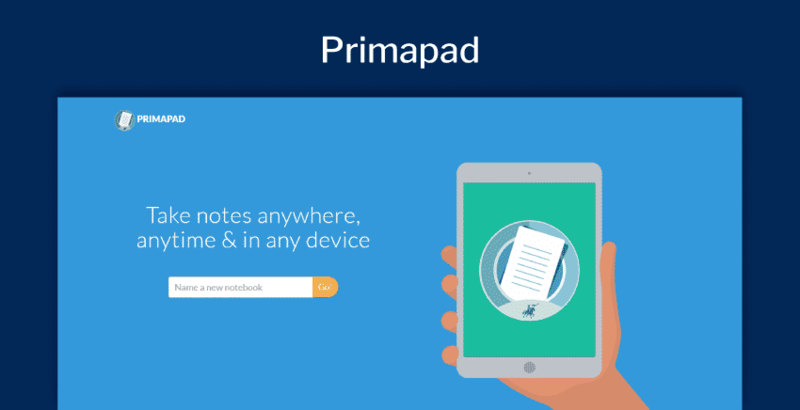 Here’s a list of the 13 best free online notepads that do not require any login. All you need to do is access the website and start typing. Without question, it is the easiest to use free online notepad. The moment you land on the website you see a big text area and you can simply dive right into it. It offers a bunch of handy features like copy, cut, paste, undo, redo, select all and also the ability to zoom in and zoom out. Once you’re done writing you can save your text file on your desktop by simply clicking ‘Save As’. Another awesome free notepad with great features. aNotepad is exactly the way a notepad should be. It’s fast, hassle-free and has a built-in rich text editor for more advanced formatting needs. It’s completely free and even allows you to create an account just in case you’d like to save your notes or keep them private on the cloud. Furthermore, you can share your created online notes directly on social media which makes it great for team collaboration. It features a minimal design and is one of the simplest free notepad apps you can find online. Shrib automatically saves your text as you type and lets you retrieve your unsaved notes anytime within 3 months of inactivity. If you’re looking for something you can feel comfortable writing on and don’t have to worry about the advanced editing, Shrib is what you’re looking for. One of the most beautifully designed online notepads out there. 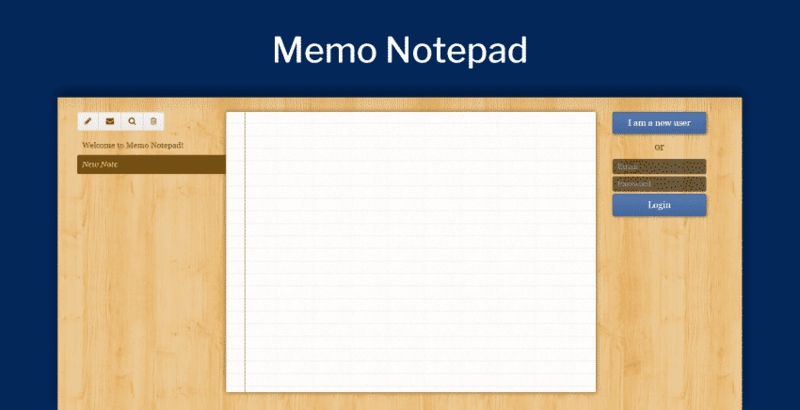 Memo Notepad looks exactly like your notepad, literally! It gives you the ability to email notes to friends or colleagues on-the-go. Although I believe it could’ve offered a little more functionality to give a serious competition if you don’t want to compromise on good design, Memo notepad is an ideal solution for you. As a writer, I note things on the go. For me, I need something handy. I wouldn’t say I like tools that ask for a login to retrieve my data. That’s when I came across Publisch. A tool which makes notetaking to the next-level. Regardless of its simplicity, the tool is a must for startup owners and busy managers. An easy-to-use, free online notepad app which can store all your thoughts fast and help you to organize ideas in an easy to retrieve manner. I just had to remember the URL, and when I type the URL anywhere, I can continue from where I left off. The best feature is that no login is required to retrieve my text. You can log in from anywhere, and you can keep making notes from that moment forward. If you are a frenzy about the design, this next tool is the right fit for you when it comes to free online notepads. 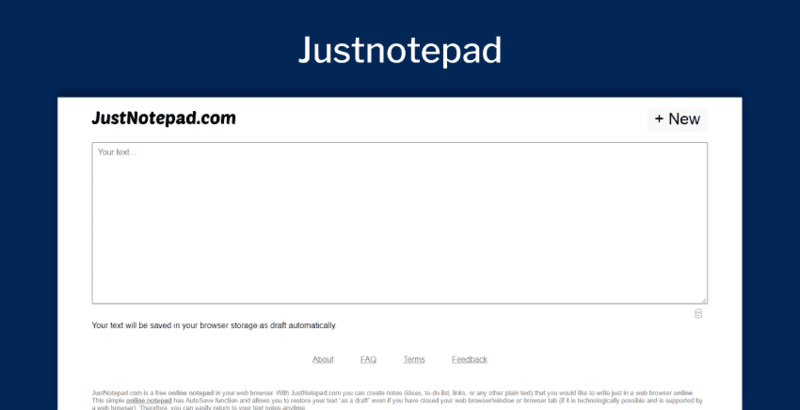 Justnotepad provides you with a clear and clean interface. You don’t have to dig deep inside to learn the tool. Everything is right at the front. Just stop complaining about that missed deadline and start writing everything down in this online notepad. Work online on your browser and the browser will auto-save your text. One notable advantage of this notepad is that it comes with a character and word counter. So, as you type you’ll know how much you’ve written. This online notepad tool is best for content writers who work on tight deadlines. Instead of thinking about how much is left, you’ll be able to see everything right in front of you. Sometimes you want to share your notes with your friends or colleagues. Thanks to Primapad. You can now do it without worrying about getting the notes lost somewhere. When you have access to notes online anywhere, anytime, you can edit them, update them, and prepare them for anything. Just name the document and start typing. When you feel like sharing the note with someone, hit the share button and you’ll be presented with several options to share. The sharing option gives an edge over other free online notepads. You can leverage this feature to tell others what you’ve written and asked them for their feedback. You can also ask them to add some ideas in your notes and make it more useful. Primapad works best when employees are working in a group project and where feedback from everyone is required to complete the project on time. Are you tired of typing your notes? Save your precious time by saying out words rather than typing them out. A tool which can help you to multi-task at the same time. 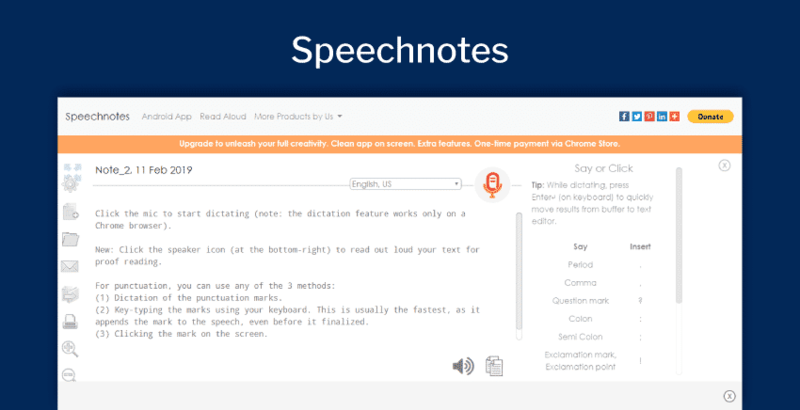 I am sure you’ll love Speechnotes. An online tool which writes as you speak. An efficient tool for those who have much typing to do. The best part of this tool is that after you’re done with the notes, you can upload them directly on Google Drive. No need to worry about how you will get the notes on your phone because this tool has an Android app too. 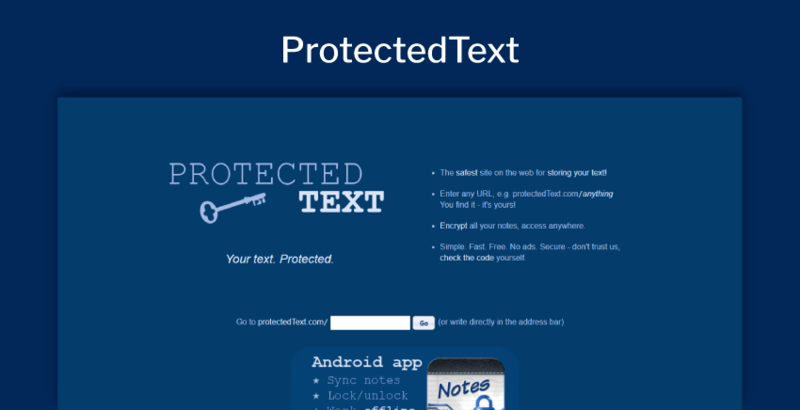 If you are looking for an online notepad app that will keep your data safe, try ProtectedText. This tool protects your text by encryption, and only you can access it. No need to worry about losing precious data freely on the internet. You can encrypt the data and reveal to just those people whom you want. When you make notes online, the tool will encrypt it to a file and save it online. You can access that document on your mobile phone with the app version of this tool. This app can easily be accessed from anywhere, and you can continue your list online without worrying about losing any important point. 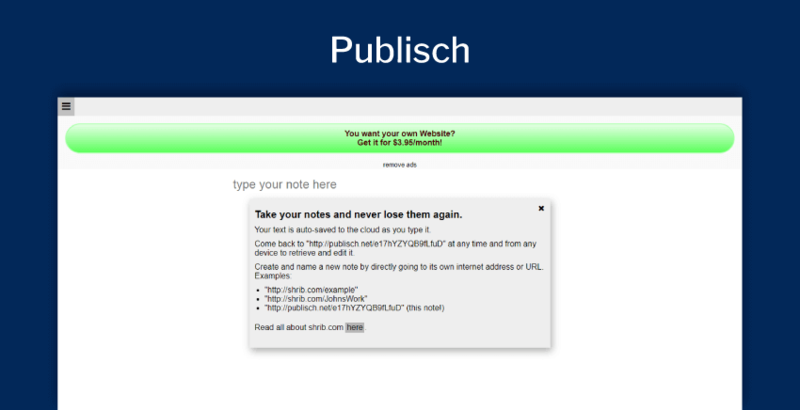 Don’t want a high-end online notepad app? You’re in luck. 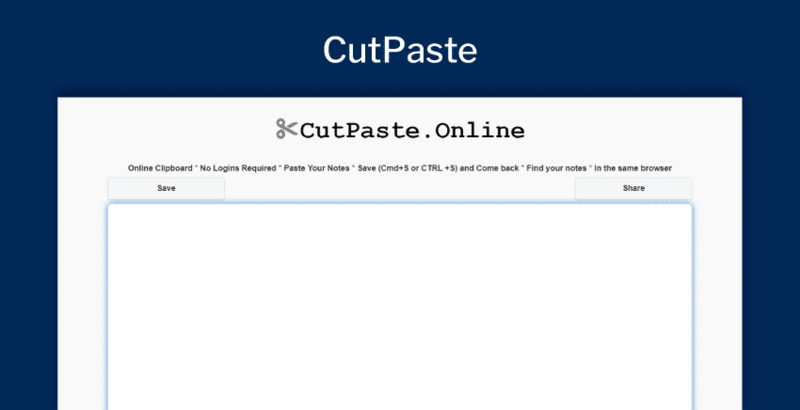 Because CutPaste will give you all that you need. 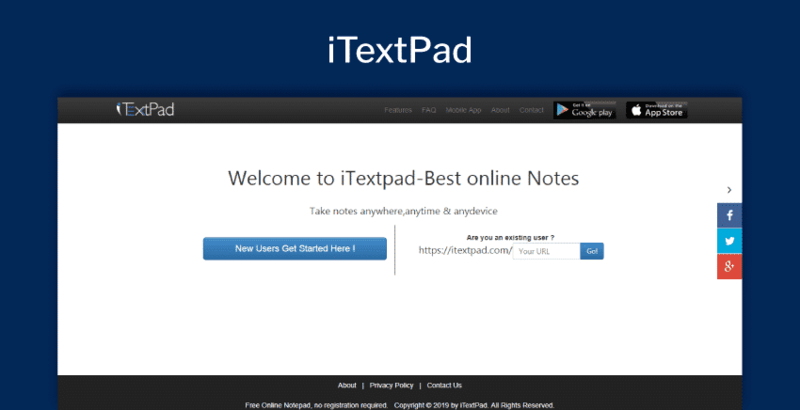 One of the most user-friendly notepad among other free online notepads. Nothing trendy about the design but the notebook gets things done on the go. Don’t have to worry about losing the data as every letter you type will be stored online. You don’t have a lot of options on-screen which makes this tool the ultimate example of simplicity. The best part is that you can share your notes as soon as you finish typing them. The best application of this tool is jotting down notes from a meeting and share them with everyone who attended the meeting. For students who are working simultaneously on a project can share ideas and discuss things by working remotely in their homes. Make notes at your home and ask your friends to brainstorm ideas with you. Manage all your information under one window. A life-saving tool for managers. The simplest way to manage your to-do lists online. 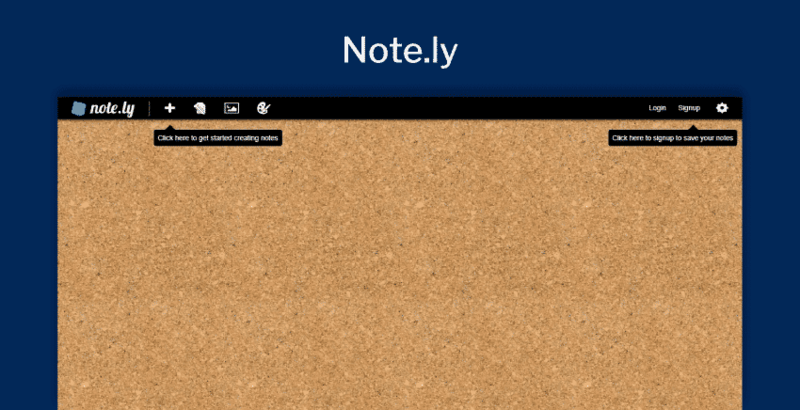 With Note.ly you’ll be able to make lists, save links, and access them from anywhere on the globe. No need to worry about data being lost somewhere online. You’ll be able to continue your list from wherever you left it. A free tool which will enable you to jot down your glossary list, meeting notes, and blog ideas fast. The interface is super-easy to understand. No need to get deep with the design as it is a simple design with nothing complex. Just make the grocery list before you leave for the market. Make the list of things to do at work and start finishing tasks one by one which appears on the list. Take notes anywhere anytime where ever you go. No need to worry about writing ideas on a desktop and not being able to access them on mobile. With an Android app, you can continue your list on your mobile app. Forget about losing the items on the list because the auto-save feature will save everything that you type. iTextPad is a cloud-based free online tool that gives you unlimited space to store all your bright ideas without worrying about leaking the ideas to anyone else. With a lock feature, you can encrypt your note and give access to only those whom you want to read your notes — a perfect tool for a corporate environment. There are tons of free online notepads out there in the market. However, an online notebook with spell check is difficult to find. 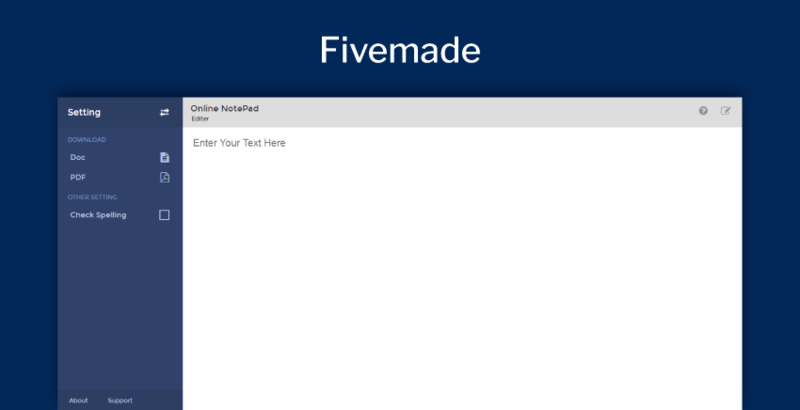 Fivemade is an excellent online notepad app which comes with a spell checker. You can save the notes as you type and share them with others without any hassle. Forget about making silly mistakes in your corporate document. Before emailing the list to your boss, just turn-on the spell-check option and eliminate all the errors. 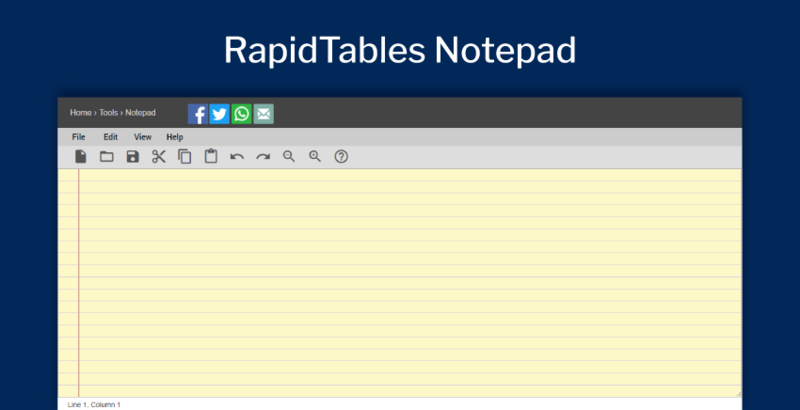 Another notable feature of this notepad is that you can download your notes either in a word document format or a PDF format. These notes are easy-to-edit and can be shared with friends with just a single click. Let your friends know what your thoughts on the group presentation are and what they want to add in the presentation. They can add, and you can see the updated version on your desktop or mobile phone. Know any other worth-mentioning free online notepads? Tell us about them in the comments below.